Ahoy there! We're looking forward to summer also. l live on the lower slopes of the hill behind the lighthouse above. Welcome aboard our website! We have a lot of information about our local area here for you, and what we can add to your time here. Summer 2018, we sailed 2400 nautical miles and took 174 people out for their first time ever on a sailboat, as well as many other seasoned enjoyers, to catch our local sights on the quickest, quietest, prettiest of them. We've been top rated for the last seven years, come see why. Last year we started booking me a day a week ashore for my family and I. Check our calendar page to make a booking for 2019. Check our pricing page for prices and trip descriptions. A note about season start: We take tentative bookings for before May 25, given the weather this winter and the glacier under the boat now, we will be lucky to start our season by then. Touring Maine from the sea is a great way to experience its rugged beauty. Sail to local islands, hike the sights, and have a picnic. The best way to see the tall ships that roam the bay, is from aboard ours. 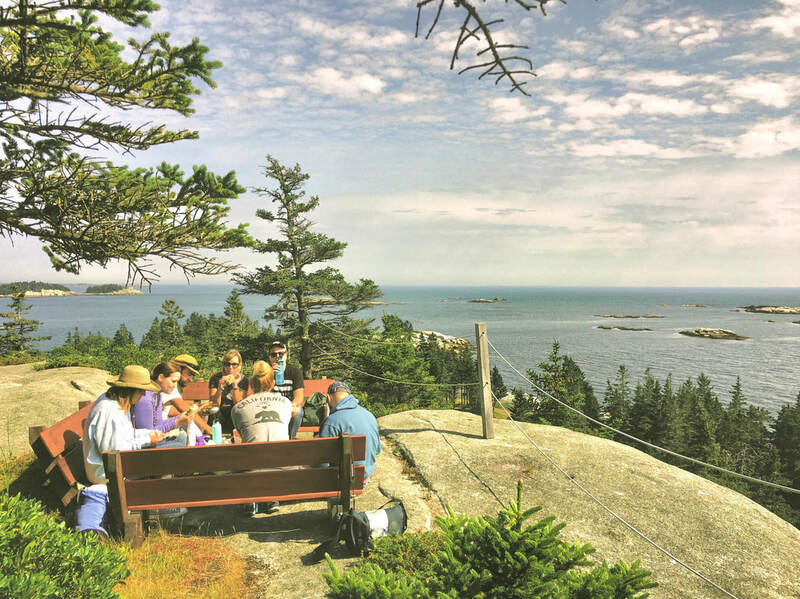 Tour with us to see the Camden Hills, the islands, lighthouses, seals and schooners, lobster boats, eagles, and rocky spruce-clad shores, from the largest protected harbor in New England. Occasionally we sail for pleasure. Off on a family jaunt here, Raya is trying her new wetsuit while we're anchored. I'm Captain Daniel Bennett owner & operator. My daughter, Raya, has crewed aboard for 8 of her 11 years. Silas, my son, at 4 1/2, is just starting to come out as effective crew. Together, we run a tight ship and its business, a bit of a homestead and a happy family. Silas's mom works in the food and wine industries, as well as making jewelry, and much else. Raya's mom is a teacher and a dancer. I try to keep house, be a dad and run this business. We look forward to hosting you on your unique experience. Book a sail on Bufflehead because flexible scheduling allows us to offer a quick highlight to your trip, or a full day of sights, memories and meals. It also makes planning your vacation easier. We sail when you want, for how long you want, our motto is "Do What You Want." We are bound to see at least one lighthouse in our interesting harbor, and more in the sailing paradise beyond. You're welcome to bring anything you like, or we can cater you. 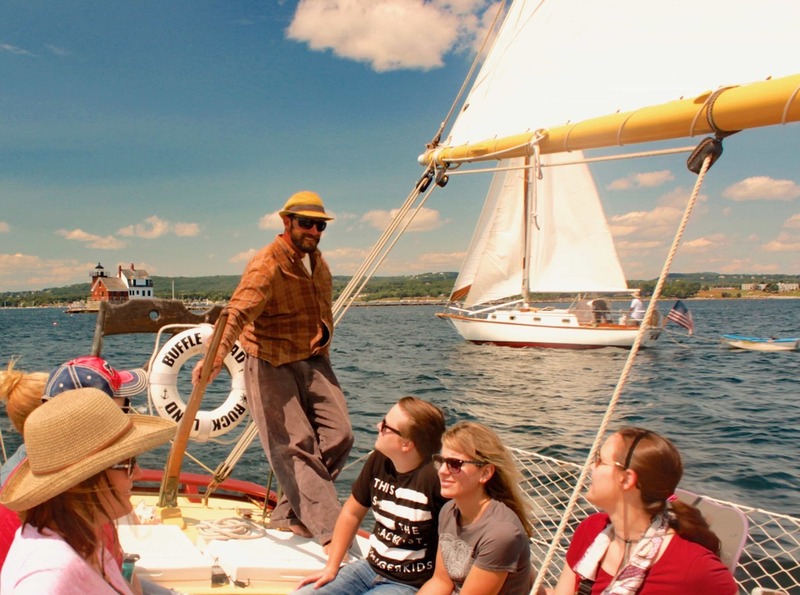 ​Our family offers Maine sailing charters of the beautiful coast aboard a classic wooden boat; custom daysail charters for up to six people on a safe and nimble 32' gaff sloop. Sunset sails, lobsterbakes, island picnics and night sails are also options. ​You can bring whatever food or drinks you like, or we can cater local delights to complete your Maine experience, and let us support or spoil you as we're known for doing. Special events are our specialty, as well as making the ordinary extraordinary. Bufflehead sails the area so much that people often recognize us & call out with greetings from the shore. ​We tour Penobscot Bay from Rockland's historic working harbor to see islands, lighthouses, lobstering, wildlife and our local fleet of historic, working sailboats. Imagine sailing along the rugged scenery of Maine's coast aboard Bufflehead: inhaling the tasty light spice of salt in the clean ocean air, hearing the bow splash as we smoothly cruise along the glistening water, waving to passing schooners, spotting wildlife, seeing lighthouses and exploring islands. Every day is different and the light is always changing. 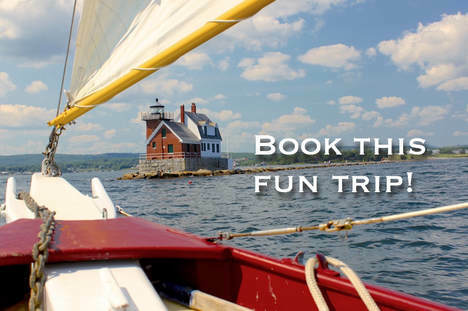 Don't miss out on this authentic Maine sailing experience. Come sail and share the beauty and interest as we explore among the islands of Maine. because they will get you excited to sail with us! Our policy is that, for kids 18 & under, you only pay your child's age per hour for your charter! How often can traveling with kids save you money? We do provide and ask that, in accordance with State law, anyone under 11 wears a PFD. Vacation planning with children can be difficult, we make it easier. ​The constantly changing scenery and variety of sights, and the workings of a sailboat and the grand schooners and working boats around us are endlessly engaging for the antsy and curious. We are fully equipped to safely ensure an enjoyable day of fun. Extensive safety gear includes radios, multiple hand and electric pumps, signal flares, fire extinguishers, tools, spares, and an extensive first aid kit. We also have coloring paper and crayons, usually some toys as well as a stereo and USB charging outlets! We have a large tank of drinking water, as well as some in the fridge and room in there for your stuff too. ​and I claim all contents as Copyright 2019.